This is awesome! I’m going to buy the book when I get my next paycheck. Fantastic! 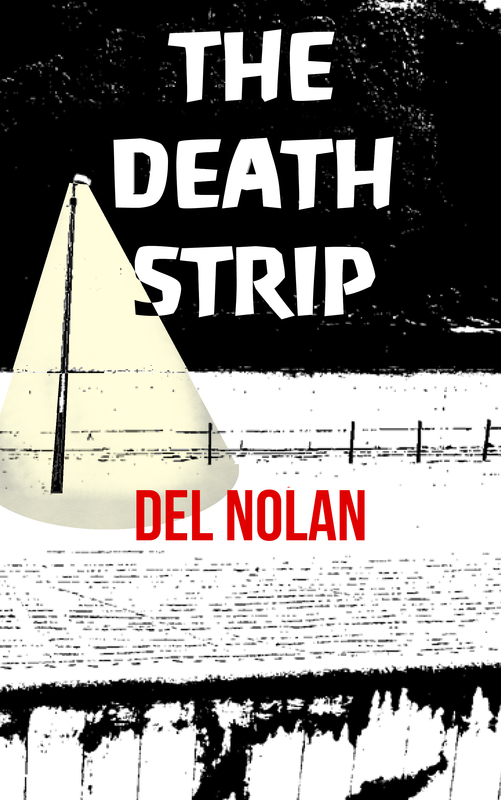 Check out Chapter Two of THE DEATH STRIP by DEL NOLAN! WOW…I was IN that tunnel! BBuying it! Thanks. Good work, Del! A captivating read, to be sure! Keep us all posted on your progress. wow definitely going to buy this and give it a read! Mind if i review it once i’ve finished it? I was thinking of a prison escape scene while reading, and Chilean mining. I’m just waiting for some creepy villains to climb in the other side of the hole in ch. 3. Love this story so far. It’s gripping from the beginning. Keep up the great writing. I haven’t read chapter one yet, but chapter two certainly got my attention. Good luck on the book, and keep writing. Thanks for liking my blog. I love how you’ve built up the tense atmosphere of the time with such simple descriptions…looking forward to reading it all! [They got to the other end where Bergen was waiting with a look of worry on his face. Your characters walked to the end of the tunnel in the past tense, but Bergen’s asking them what happened in the present. It can make the timeline a bit confusing (though it’s obvious both actions are taking place at the same time in this case).